The dances are held in the historic Keith House, with its beautiful wood floor, from 8pm until 10:30pm. The first half of the evening consists of easy dances suitable for everyone, and all the figures will be taught. 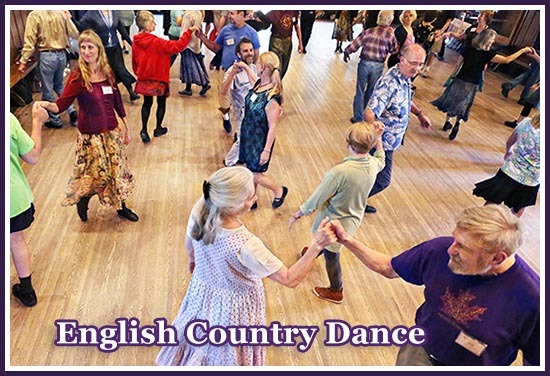 If you are a beginner and want to learn what English Country dancing is all about, be sure to come to the first half. The second half will include slightly more challenging dances for those with more dance experience."